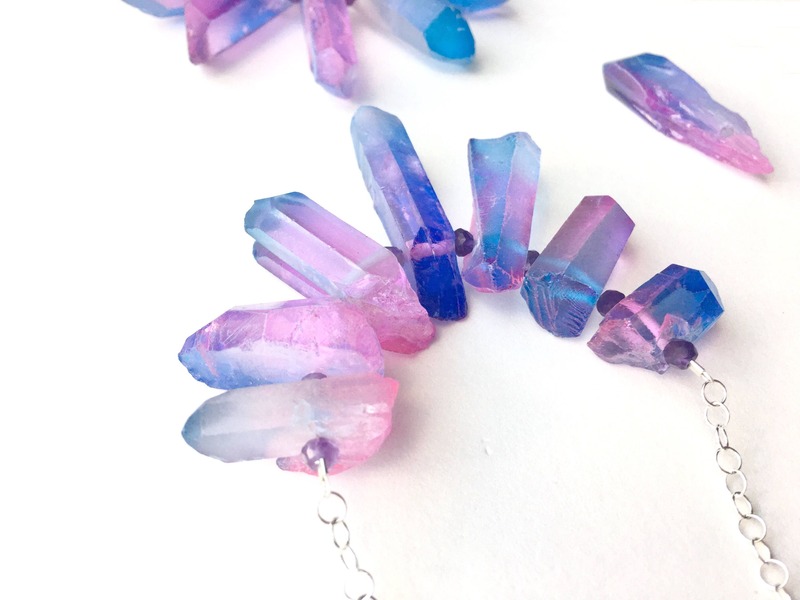 Beautiful vibrant purple and blue freeform quartz is strung on thin wire, adorned with a faceted amethyst bead between each shard. 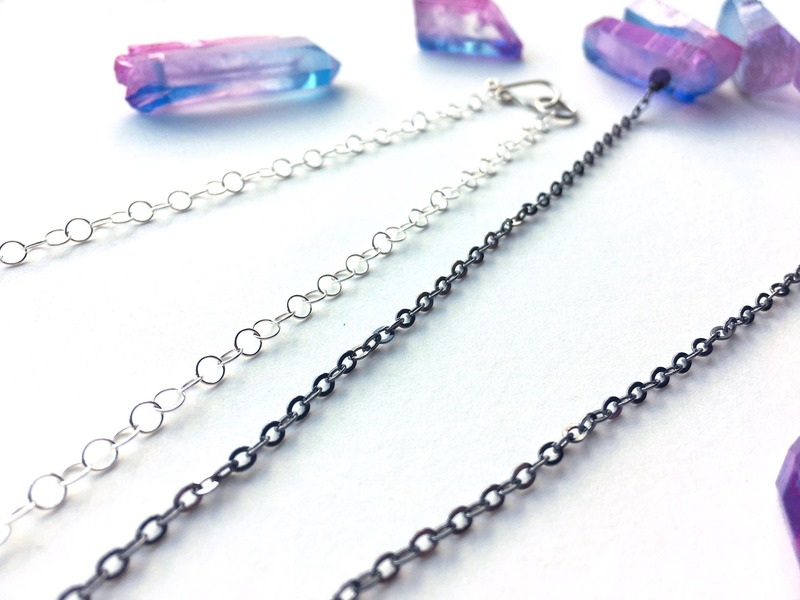 A stunning bright sterling silver or oxidized sterling silver chain is a perfect accent to these gorgeously colored stones. The hand-formed hook and eye closure is hammered and polished for a strong, luxurious finish. 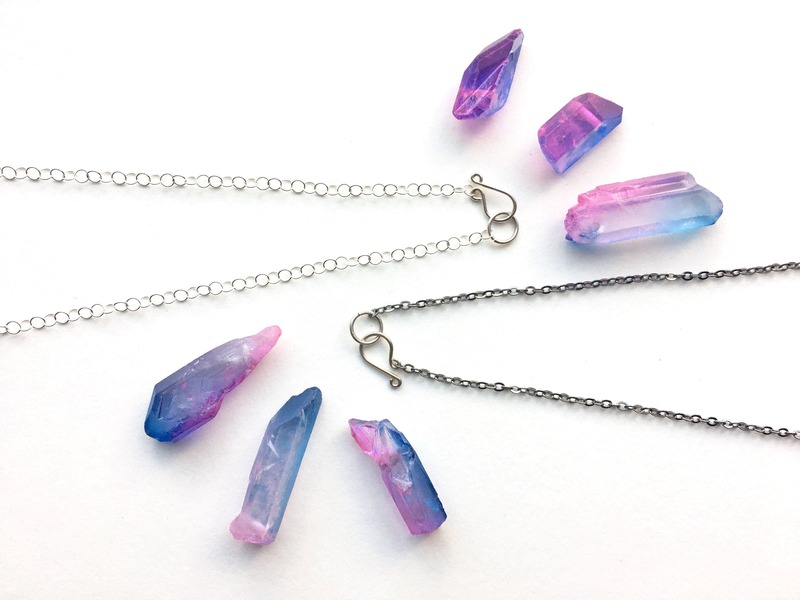 Graduated sizing of the strung quartz emphasizes the center of this necklace, with the largest piece of quartz as the focal point. 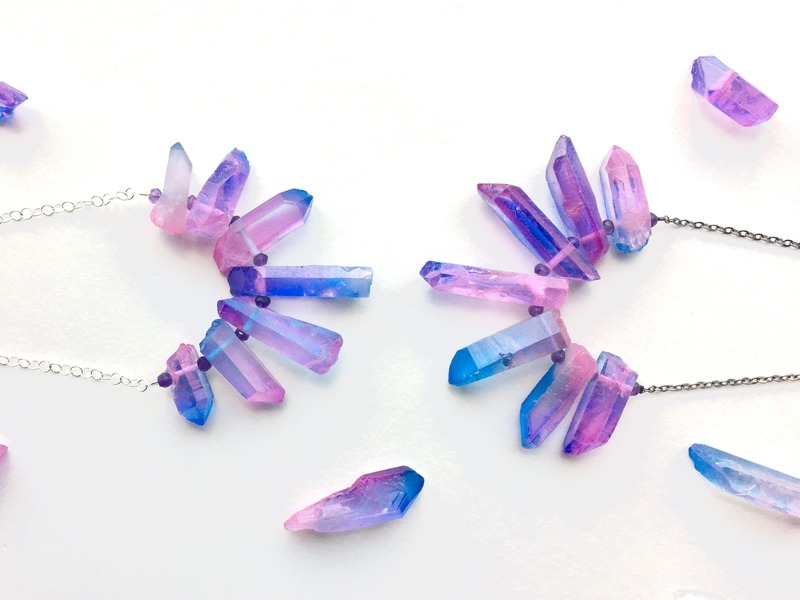 Quartz is a power stone; it’s known for its ability to enhance energy and balance. It encourages self-confidence and forward thinking. 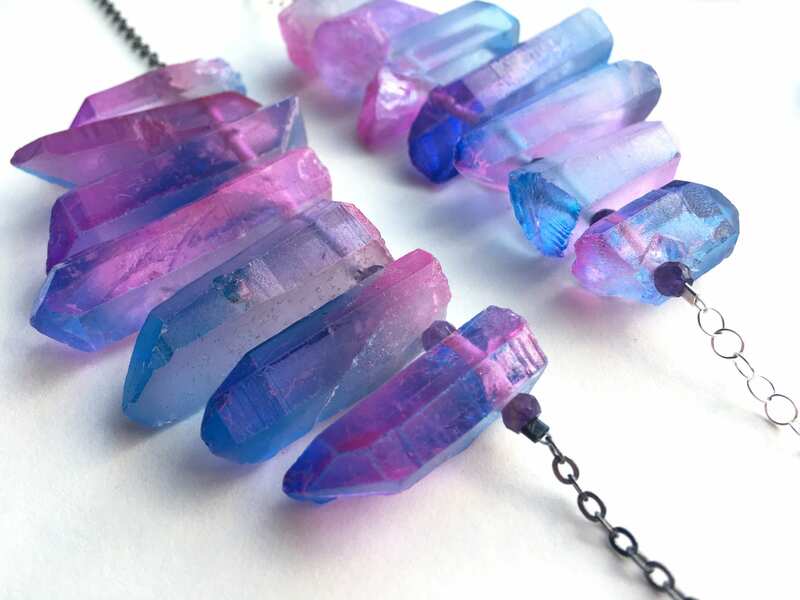 Amethyst promotes balance and peace. Wear this necklace not only as a stunning statement piece, but to move through life with heightened clarity.